Make the most of your budget with eBook content from APA. Choose the book content that will best fit your library’s collection and benefit from scholarly titles authored by distinguished researchers and master practitioners, delivery of MARC records, access through APA PsycNET, training and support from APA experts, and much more. You are communicating with your doctor, and your prescription (an app) arrives on your smartphone. This is no frivolous app. It could help manage your chronic health condition—measuring, collecting, and managing your key personal health data. But is this app really a medical device, and if so, what are the issues around regulatory compliance? The Greater New York Hospital Association just announced Happtique, a mobile health application store for prescribing medical, health, and fitness apps to patients. How is the industry approaching quality and safety issues in one of the toughest regulatory markets? With downloadable health apps available at a few dollars or less, why is the industry now shifting to higher cost models and more complex tools? The digital portal Europeana opened up its dataset of more than 20 million cultural objects for free re-use. The massive dataset is the descriptive information about Europe's digitized treasures. For the first time, the metadata is released under the Creative Commons CC0 Public Domain Dedication, meaning that anyone can use the data for any purpose—creative, educational, commercial—with no restrictions. Thanks to new agreements with three publishers of scholarly open access (OA) journal and book content, libraries using the Summon service from Serials Solutions can offer researchers more access to freely available resources outside of their own collections. 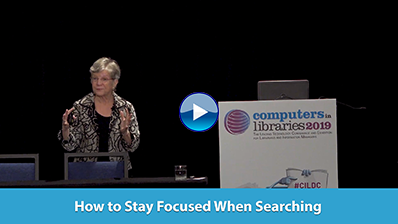 Making these resources accessible through the library discovery interface broadens the number of highly relevant and appropriate results returned to researchers, while further making the library the "go-to" resource for credible content. The publishers are Libertas Academica, eScholarship@McGill, and the Directory of Open Access Books. FirstRain announced the official launch of FirstRain Performinator, a new subscription-based solution for easily adding strategically tuned customer intelligence to the daily lives of major accounts sales and marketing pros within their existing CRM systems, social enterprise platforms, tablets, and smartphones. It's clear that Apple scored a major victory over Samsung in its recent and highly publicized patent dispute. A jury found that a number of Samsung's mobile devices infringed on Apple's patented designs and awarded damages of $1.05 billion to Apple. The jury also found that Apple had not violated any of the five patents Samsung asserted in the case. Apple then requested a ban on the sale of eight models of Samsung smartphones. Both companies are considering their next steps, while the media and blogosphere continue to buzz with reactions.